Reminder: Cotton Harvest Safety Training September 27th! 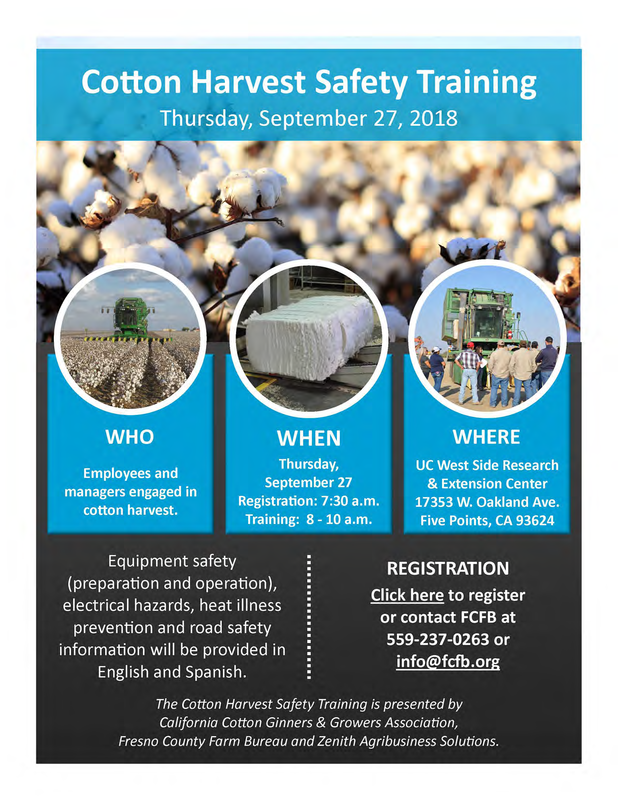 FCFB and California Cotton Ginners and Growers Association will host their annual Cotton Harvest Safety Training in English and Spanish on Thursday, September 27, from 8 to 10 a.m., at the UC West Side Research and Extension Center, 17353 W. Oakland Ave., Five Points. The training will be provided by Zenith Agribusiness Solutions.